Everest Base Camp is December Doable? Everest Base Camp Trek in December Doable? Home / 10 Best Treks in Nepal – The Ultimate Guide for Trekking in Nepal / Everest Base Camp Trek in 2018: The Ultimate Guide / Everest Base Camp Trek in December Doable? In the final month of the year, the Everest Base Camp goes from the autumn to the winter. This transition from autumn, one of the busiest trekking seasons, to Winter might prompt you to ask: “Is the Everest Base Camp trek in December doable?”. The answer is a “YES”. Despite the fact that the temperature of Everest Base Camp in the month of December goes below zero degrees along the trekking route, the precipitation in the Everest region is very low. This promises for clear view of the mountains and awesome photography. The fact that the trekking trails are not crowded in this month might tempt you to come here if you love traveling in relatively quiet areas or time. Also, the hotels and tea houses along the trek is empty which means you won’t have to share a room with others. 1. How hard is it to find accommodation in the Everest region in December? 2. Is it necessary to hire a guide for the EBC trek in December? 3. Will I need a porter if I have a guide? 4. Do I need to carry extra clothing while trekking to EBC in December? 5. Is a travel insurance while trekking in the Everest region in December recommended? The weather undoubtedly is cold in December in the Everest region. But the fact that tea houses and hotels along the way are open means that the region is devoid of human presence. Besides, there are many people who enjoy the December trek, especially people who are residents of places which are perennially snowy. The average precipitation in the month of December if 3mm. This means that the chances of cloud covering the mountains are pretty low. It shouldn’t come as a mystery that some of the most captivating pictures of the Everest region are taken in December. Many people are put off by the idea that their treks are going to be interrupted by rain. Rain means that you have to wait an extra day or two for scenic views. Besides, who is looking for slippery trails to trek in? December is really pleasant in this regard. The weather is predictable in the Everest region in December. This helps you avoid any unnecessary worries about the abrupt change in weather. If you are coming to Everest region, there is no way that you will compromise with the views of the awesome Himalayas of this region. And if you are coming to trek to the Everest Base Camp in December, you won’t have to make any compromise of that sort. The mountainous views are simply awesome. There might be some people who don’t like to trek in an environment where trekkers are everywhere. And if you happen to be one of such person, trekking to EBC in December might be perfect for you. The serene environment at the Everest region during the month of December is unmatched. A sparse trekking population also means that the pictures of the surrounding you want to capture will not be interrupted by the sights of people. Accommodation is quite easy to find in the Everest region in December. Most tea houses and hotels are empty as this is not the peak trekking season. Less number of people results in the fact that you can have many mattresses of the tea houses to yourself. So if the winter is a worry for you, the availability of a lot of blankets and mattresses you can have with yourself is a thought that rejoices many people. And more importantly, that will provide you with all the warmth you need. Guides are not simply important for the EBC trek in December but all year round. And on top of that, hiring a guide to EBC is a simple task. All you need to do is consult a travel agency and they will take care of it. You can choose from a variety of travel guides to know which ones you will feel comfortable with to go along the trek. The fact that there might be several trekking trails closed in this month makes hiring a guide all the more necessary. Yes, you will. Guides and porters are two different people who serve different purposes along the trek. During the winter, your body loses more energy due to surrounding cold. So more energy will be lost if you carry all the weight on your shoulders. Letting a porter carry your bag will mean that the amount of energy lost while trekking is quite low. If you are struck with altitude sickness, the fact that there is someone to carry your load will come as a much-needed relief. Standard clothing while trekking to the Everest region is needed. This includes the base layer, intermediate insulation layer as well as the outermost layer. Also snow-proof down jackets as well as trousers will be something that you won’t be able to do without. The fact that there are chances of snow in this region in January means that a trekking pole will come in handy. Oh, Definitely. Travel Insurance is recommended all year round. It is a great way of getting immediate relief if you happen to be struck with altitude sickness along the way or your belongings are stolen. You never know when you might bump into some problems while you are on your journey. Getting a travel insurance for the EBC trek is one of the many ways of making your trip risk free. Everest Panorama Trek is for all trekkers who are looking for a light trek in the Everest region. You will go to Namche Bazaar as well as to Tengboche Monastery. So if you feel that you would want to avoid the cold winter in the Everest Base Camp in December, this might just be the right trek for you. The cold December winter might tempt you to not trek in the Everest region at all. But, the Helicopter ride in the Everest region might make you want to think about it once again. With the Everest Base Camp Helicopter tour, you can avoid any trekking in the Everest region and still visit the Everest Base Camp. 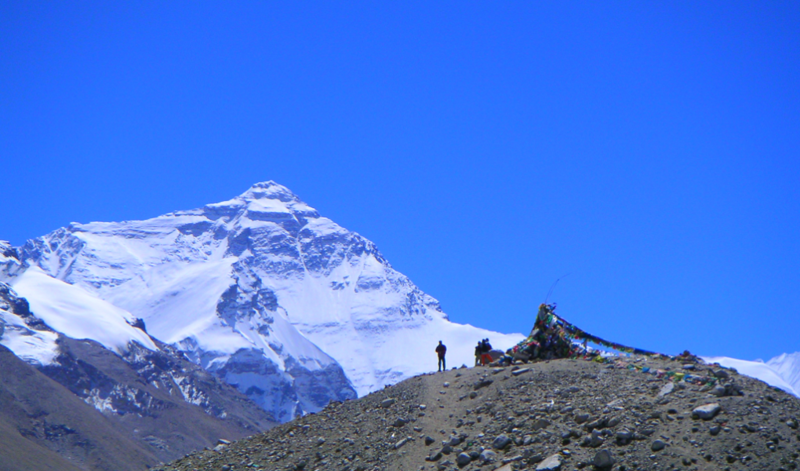 Within one day, you will go to and return back from the Everest region. And that too in a helicopter. Isn’t that sweet? If you are coming to the Everest region for trekking, you could try out the Gokyo Valley trek as well. The clear weather during the month of December will provide excellent views in the Gokyo region including the majestic lakes there. Gokyo Valley and Renjo La Pass Trek is another trek you can look into. If you are not sure that you will be able to acclimatize with the December cold of the Everest region or its altitude, Jiri to Everest Base Camp trek will make sure that you do. This is a long trek to the Everest region where you gain small altitude every day. You can undertake this trek if you have close to 3 weeks of trekking days. The winter of the Everest region might prompt you to dread about the trekking in the region. But if you interact with many travelers who have trekked to EBC in December, they will tell you that this was one of the most awesome treks they have undertaken. Besides, if you have read this article closely, there is nothing in terms of accommodation, hiring a guide or the weather you have to worry about. So as long as you plan properly, you will be able to complete the EBC trek in December.